Russian Hebrew author and book-dealer; born at Radashkovichi, near Minsk, Feb. 20, 1829; died at Minsk Nov. 19, 1897. His father, R. Abraham Maskileison, a Hebrew scholar of note and the author of "Maskil le-Etan," instructed him in Talmud. 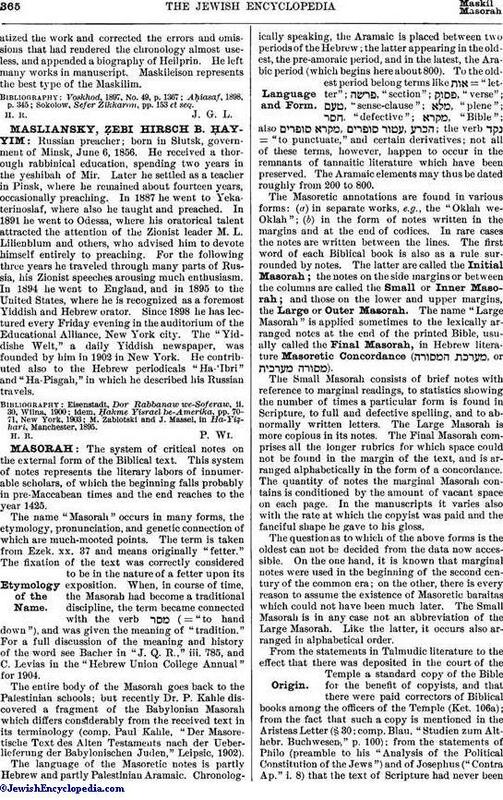 Study of the poetical works of Moses Luzzatto and N. Wessely awakened Maskileison's interest in Neo-Hebrew literature, then regarded with disfavor by the Orthodox circles in which he grew up. His first poetical production was the drama "Esther," which was praised by the poet A. B. Lebensohn. Later he published, in various Hebrew periodicals, some poems which are marked by beauty of form and depth of thought. His many prose articles, published in the Hebrew periodicals during a period of forty years, are likewise distinguished for their excellence, as is his "Miktabim le-Lammed," a collection of eighty-eight letters of varied content (Wilna, 1870). 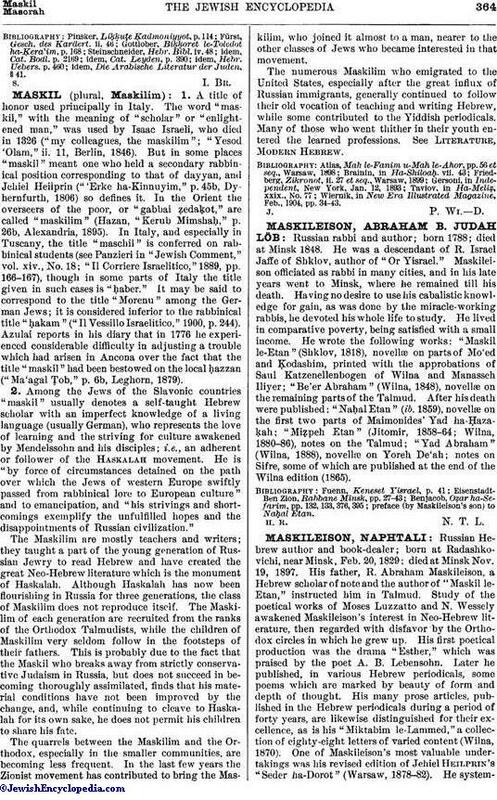 One of Maskileison's most valuable undertakings was his revised edition of Jehiel Heilprin's "Seder ha-Dorot" (Warsaw, 1878-82). He systematizedthe work and corrected the errors and omissions that had rendered the chronology almost useless, and appended a biography of Heilprin. He left many works in manuscript. Maskileison represents the best type of the Maskilim. Sokolow, Sefer Zikkaron, pp. 153 et seq.